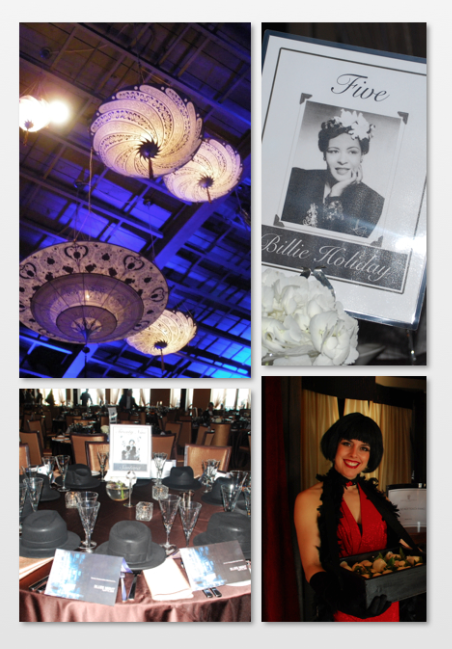 For our Blues theme party , we transported guests back to a bygone era known for its elegance, style and romance. Back to a time of Groovin Blues & back room Gin Joints. We wanted to make this Blues night flow as smoothly as a slow blues number, treating guests to an experience that never stopped and helped them get lost in the moment of traveling the Blues throughout the eras. 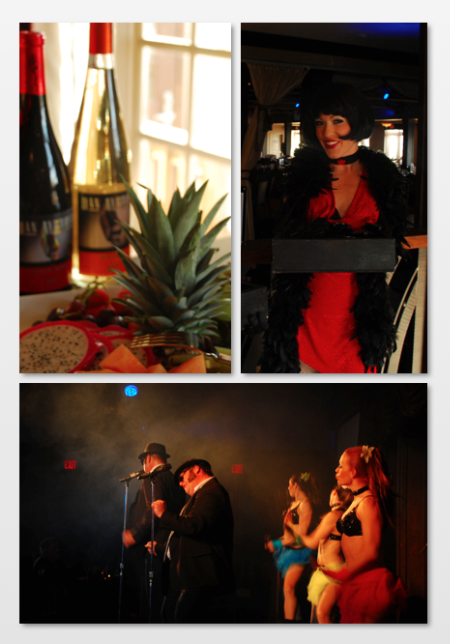 Guests entered the event to the lonely sounds of a angst-ridden Harmonica player, sitting on crates used for all sorts of prohibition distribution. As they passed registration, they were presented with Ray-ban sunglasses and entered into the illusion of a smoke filled room, complete with oyster bar, cigarette girls, Three card monty & street tappers hoofing to make their own musical beats. Cocktail hour played out with the sweet rhythm of a soft Blues Trio, serving Dan Akroyd wines, followed by the announcement for dinner with a tap off on stage of two highly energetic kid tappers. Canadian and American anthem- Saxophone style. The subtle songs of a Billie Holiday songstress soothed your soul through dinner followed by an explosive, heart-stompin Blues Brothers show that had guests rockin in their seats and continually asking for encores.